Why you need it for your Galaxy Wonder ? Samsung Galaxy Wonder runs on Snapdragon chipset cpu with Adreno Graphic Processing Unit. - Not all games support this kind of GPU. - And sometimes after you downloaded large amount of data, you can't play the game! Either the you are having graphic colour distortion or the game exit before you can play anything. - There are games designed just for THD devices with Nvidia GPU. Trust me, it's not the GPU fault because adreno somehow are quite powerful. With this app you can even play THD games just by selecting its plugin. FREE from market aka play store. Just search for Chainfire3d. I'm using the free version for couple of months. Pro version is more unstable and dont blame me if your device got bricked using that. My friends Sgs2 got black screen when trying the pro version. 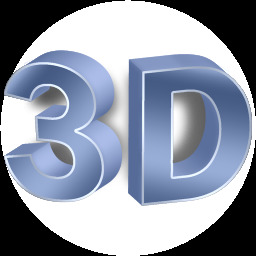 After download CF3D, what should I do? Open the app and choose install. There will be a warning and just ignore it. Dont read it if you got small level of courage. Your phone will go black screen for few seconds and reboot itself. 3) Don't us PowerVR plugin as default plugin ,if not your GPU will take some damage. tnx dude im gonna try this. when i launch chainfire 3-s it says "could not aquire super user access ! is your device rooted ? if you are rooted and this message persists , reboot your device ." what does this mean ? please help ! if you want to root your device shut down your phone then press volume up button center button and power button at the same time then the screen will come like android system recovery in that your touch will not work select by your volume keys and press center button on reboot system now!!!done!! !your system is rooted. i cant download the chainfire plugin . Pls help . When i download . you have to download the plugins on your computer when the download completed, extract the winrar plugins then save it to your mobile. can this be reverted to original dude ? I'll try. i have asphalt 6 hd and it lags when i used it. Hope with this app i can run it smoothly. Thanks..
how to extract files from sd card on my SGY duos????? i forget to paste libGLEMU_QUALCOMM.zip.libGLEMU_POWERVR.zip and libGLEMU_NVIDIA.zip to sdcard. then my phone display samsung s3 (like starting). i have wait long time. what should i do. please help me. Link can't download on my Galaxy Y. Can I install chainfire 3d without rooting the phone? Thanks working well:) . . but sometimes templerun automatically stops and further i need to resume it. that is only problem. im using micromax a52. thanks dude. many thanks for sharing this, cheers. Very Nice! work well on my SGW! Thanks a lot author, more power! When I click any plugin to download it takes me to asian dating app??? This application can run on mobile phones Mediatek chipset with Mali gpu ?.